Bespoke coffee table finished in a freeform handmade illustrated design. 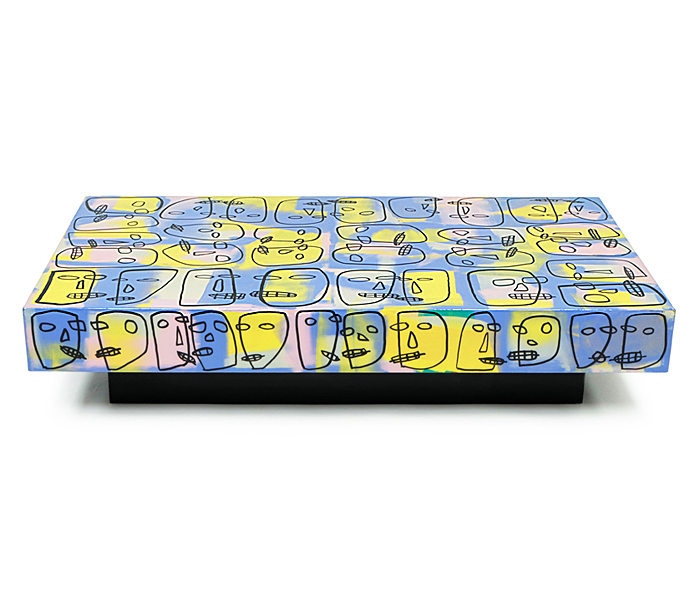 Hand-drawn doodle face design on an abstract painted surface. Polished lacquered top. Black veneer plinth.